Quantum Physics shows that everything in our universe is energy. The particles that form everything are not standing still but are vibrating. This energy in motion vibrates at a certain frequency, which depends on the levels of its energies. 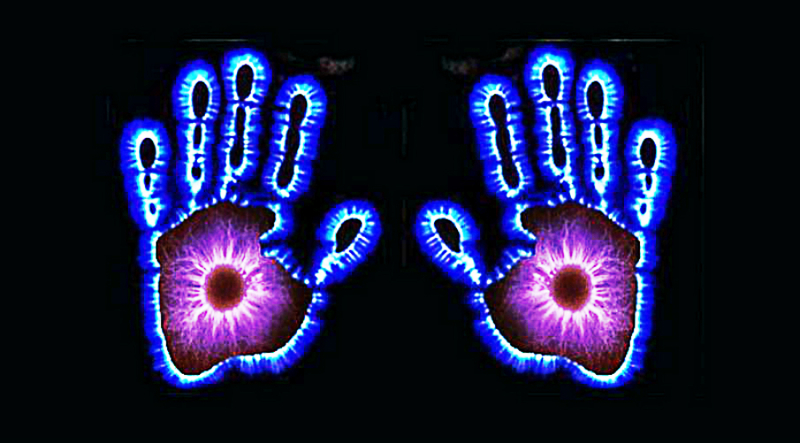 In relation, our bodies have their own sonic signatures. Higher signatures mean higher vibration, while lower signatures mean lower vibration. Energies of different forms surround us and influence greatly our state of energies. How we react to these can either increase or decrease our energy signatures. When we’re elated or joyful, we emit positive energies and when we’re disappointed or down, we emit lower vibrational frequencies. Maintaining a higher energetic vibration is the ideal way to attract the good things to come in our life as well as help us rise higher on our spiritual quest. 1. Be present and live in the moment. Nothing raises your vibration more than staying present. Worrying what will happen in the future or ruminating about what happened in the past deplete you of your energy supply. You can plan your day or set future goals without worrying about their outcome. Besides, the best possible outcome is likely to happen when you entrust to the universe your plans and goals. If you can’t help thinking about what occurred in the past, look for the lessons it brings you then use this lessons to live in the present moment the best way you can. When you make peace with your past or future, it’s then that you’re able to focus your energies in the present moment. Stress is a part and parcel of life. Without it, we wouldn’t push for more or mindful enough to take care of our health physically, mentally, emotionally, and spiritually. But stress shouldn’t defeat you in the process. Whenever you feel stressed out, simply focus on your breath. Take slow, deep breaths and release each breath slowly. Feel the air as it enters your lungs and relaxes your nerves. Do this for 5 to 15 minutes. You will then feel refreshed and more energized. Nature is always in alignment with itself. Animals, insects, birds, flowers, everything that is part of Mother Nature can soothe you into alignment. Spending time with nature can make you energized and harmonized. The more you appreciate nature, the more you feel aligned with yourself. When you’re in alignment with yourself, you vibrate at a higher frequency that draws more positive energy towards you. Even a few minutes spent in walking or meditating in nature can make a big difference. 4. Do what inspires you. At times, our work becomes a drudgery. No matter how you love your work, there are certain times that you just feel offbeat. Have one thing that truly inspires you. It may be a habit of passion, a 5 minute activity, or simply watching videos or listening to music that uplifts you. You can even have a picture of your loved ones on your table or your vision board on your wall. When you do what inspires your soul you’re always reminded of why you do the things you do. This will make you take inspired action and put more value on the things that you do. 5. Do what empowers you. The most important person you need to take care of is yourself. You can’t take care of your loved ones or others when you lack the capability to do so. Know what you want and provide your every need. Do empowering things, like exercise, facing your fears, saying what you want to say, and anything that empowers you as a person while expanding your mind. Focus more on your spirituality because a healthy spirit begets a higher vibration.